Have you ever wondered why mosquitoes seem to be eating you alive at every summer barbecue, while someone sitting next to you remains unmolested? Female mosquitoes bite you because they need your blood to develop fertile eggs, but not all blood is created equal from the mosquito's perspective. As it turns out, it's not your imagination that some people are more attractive to mosquitoes than others—and genetics is at least 85 percent to blame. Human blood is grouped into four basic blood types—A, B, AB and O—based on the presence or absence of A and B antigens and antibodies in the blood. Genetics determine what blood type you have, so you inherit it from your parents depending on what their blood types are. For example, if both of your parents have type AB blood, you may have type A, type B or type AB blood. Of the four blood types, type O is the most common, followed by type A. Another factor that determines how attractive you are to mosquitoes is your secretor status. Some people secrete chemicals related to their blood type through their skin. Like your blood type, your secretor status is genetically inherited. All people are either secretors or non-secretors, regardless of their blood type, with secretors being the most common. Secretors make up approximately 80 percent of the U.S. population. 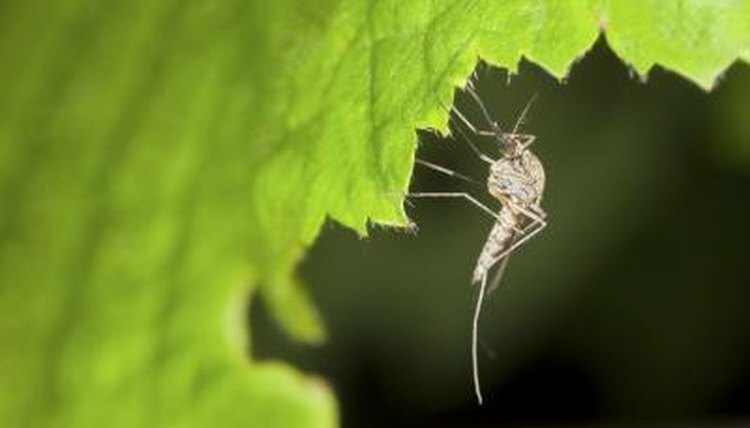 Studies show mosquitoes have preferences both for specific blood types and for secretor status. A 1972 study was the first to show mosquitoes have a blood-type preference, favoring type O blood over type A or B blood. A followup study also looked at secretor status and concluded that mosquitoes prefer type O secretors above all. In fact, secretor status may be more important than blood type, since the mosquitoes in that study didn't demonstrate a particular preference for type O secretors over type A non-secretors—although they preferred type O secretors to type A secretors. Scientists have isolated proteins on mosquitoes' antennae that detect chemical markers emitted from peoples' skin, but still don't know why certain blood types are favored over others. Regardless of your blood type, other factors may attract mosquitoes to you. Body heat and carbon dioxide alert mosquitoes to a potential warm-blooded host, so if you're outside in the summer and engaged in strenuous activity, your increased body temperature and heavy breathing can turn you into a mosquito magnet. Pregnant women are more likely to get bitten by mosquitoes because they emit more carbon dioxide and have a higher body temperature than non-pregnant women, even at rest. Researchers also note high concentrations of steroids or cholesterol at or near your skin's surface attracts mosquitoes. WebMD: Are You a Mosquito Magnet? Washington City Paper: Blood Hungry: Do Mosquitoes Favor Certain Blood Types? You Bet They Do! Scienceline: Why Do Mosquitoes Bite Some People More than Others?